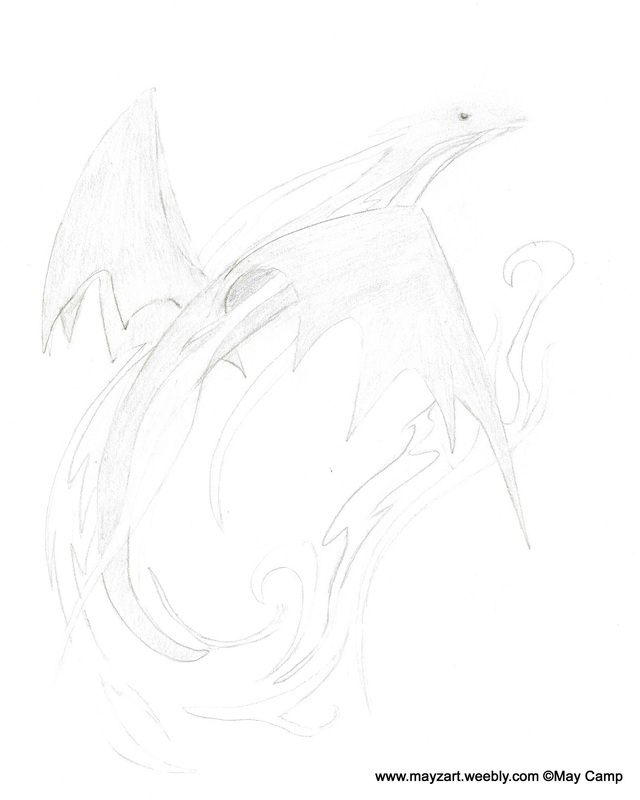 Description: A flowing drawing of a gray dragon in flight. Its wings are bent like it was about to lift them up to flap again, there is some white mist-like stuff coming out of its mouth and swirling around behind it. Artist’s Comments: I tried using my technique from the last drawing, Dragon 4. I drew random lines and then tried to see a shape. I, of course, saw a dragon, and filled in the lines accordingly.